T-Mobile is coming clean about how its Binge On program treats streaming video, long after other people figured it out for themselves. But it also leaves some questions unanswered in its attempt to “clarify” matters. Binge On is a new optional service from T-Mobile that lets users stream unlimited video from supported services, including Netflix and Hulu, without counting against data caps. Enabled by default, it reduces the video quality of those streams to as little as 480p resolution. In late December, YouTube observed that T-Mobile was reducing its video quality as well, even though YouTube wasn’t part of the Binge On program and was still counting against users’ data caps. That claim was confirmed last week by the Electronic Frontier Foundation, whose tests found that all videos—including direct downloads and in-browser streams—were getting slowed down. Through it all, T-Mobile avoided giving a clear explanation of its policies, though CEO John Legere did drop an expletive-laden rant on the EFF after getting called out. On Monday evening, Legere published an “Open Letter to Consumers,” fessing up to the throttling policies but strangely blaming the confusion on everyone else. Clarification: T-Mobile points out that it has disclosed the reduction to 480p for almost all other video in a previous press release and a blog post from Legere, both of which refer to the practice as "optimization" rather than throttling or slowing data down. Though the unlimited aspect of Binge On was clearly the focus of those pieces, the fact that T-Mobile reduces data use for all video streams--resulting in 480p resolution in most cases--has been disclosed. The rest of the original story continues below. 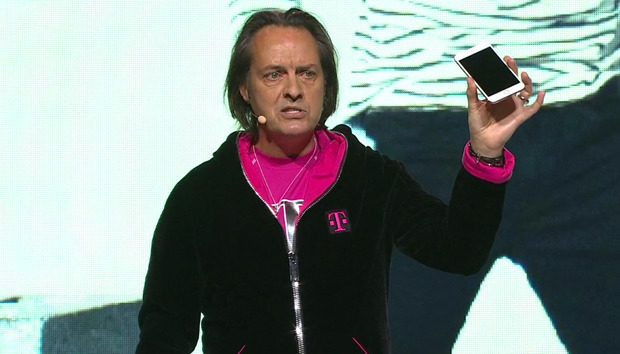 “I debated with myself about letting this topic drop completely so everyone, consumers and our customers, could catch their breath – but the discussion has gotten so convoluted that I had to do some follow-up to help clarify a few things before we can move on,” Legere wrote. Keep in mind that this debate could have been avoided if T-Mobile had explained its throttling policies from the start. Nonetheless, Legere went on to bemoan how “there is suddenly a LOT of confusion about Binge On,” and that “some people may be confused” about how Binge On works. As I speculated in late December, T-Mobile believes it is doing the right thing with Binge On by slowing down all video, which in turn helps users’ data plans go further. Although the feature is enabled by default, users can always turn it off. “It is and always has been a feature that helps you stretch your data bucket by optimizing ALL of your video for your mobile devices,” Legere said in his letter, which also included an apology to the EFF and its supporters. So why did it take so long for T-Mobile to explain how Binge On really works? That point remains confused. It’s also unclear why T-Mobile counts non-participating sources like YouTube against users’ data caps if it’s able to detect and reduce the quality of their streams. Why not just provide unlimited data whenever streaming quality is reduced? In other words, Legere’s letter doesn’t clarify much. It’s more of a confession after getting caught in the act.